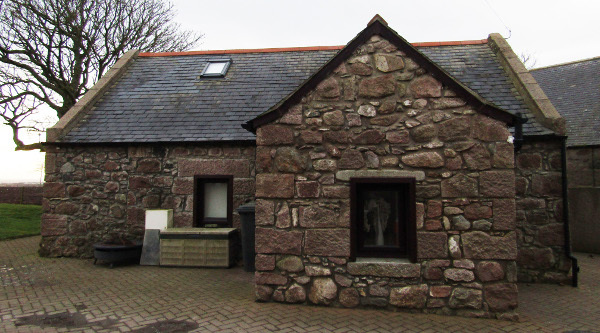 Planning permission has now been secured for this styling steading extension in Aberdeenshire, which will add both character and style to this already tasteful property. The brief was to extend the one bedroom property to provide more living space and two new bedrooms. Our proposed new East facing, 1.5 storey extension, more than doubles the footprint of the original house. It provides lots of additional light on both floors, a new master bedroom with en-suite and the landing area opens out onto a large glass framed balcony with a fabulous countryside view. 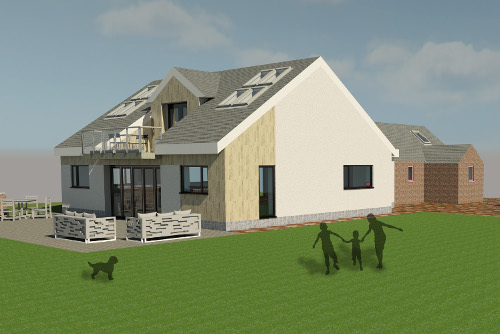 There are two new double bedrooms on the first floor and at ground floor level, there’s a new large open plan kitchen/dining/family/games room, which will open out onto a new decked/patio area. 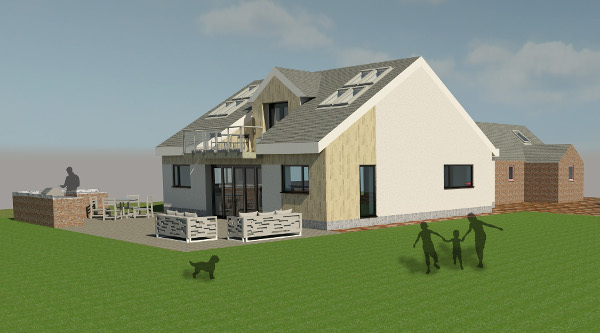 We help people find property solutions through carefully considered designs that respond to their needs, the site, budget and planning policy. Like most other websites, this site uses anonymous cookies to improve your user experience. Find out more.